Yay! Received my new Watsons VIP Card with Touch n Go. This card was introduced last week during the launch at the at NZ Wheel Mercedes-Benz Autohus. 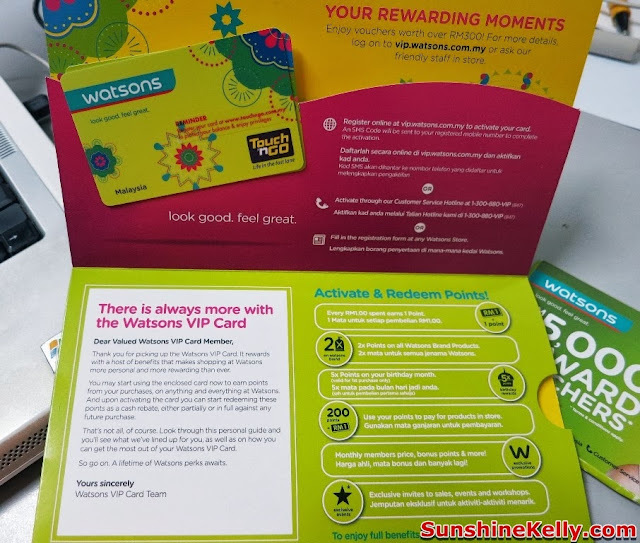 Watsons VIP card is a lifetime membership while the points credited have separate validity period for us to redeem products or attain exclusive promotions on selected items. 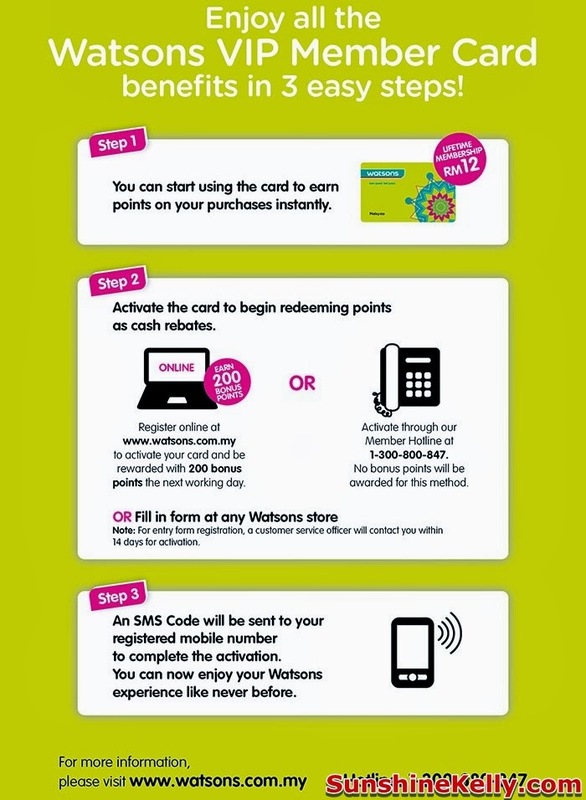 More than 55 million members throughout Asia have signed up for Watsons VIP card to enjoy its benefits. 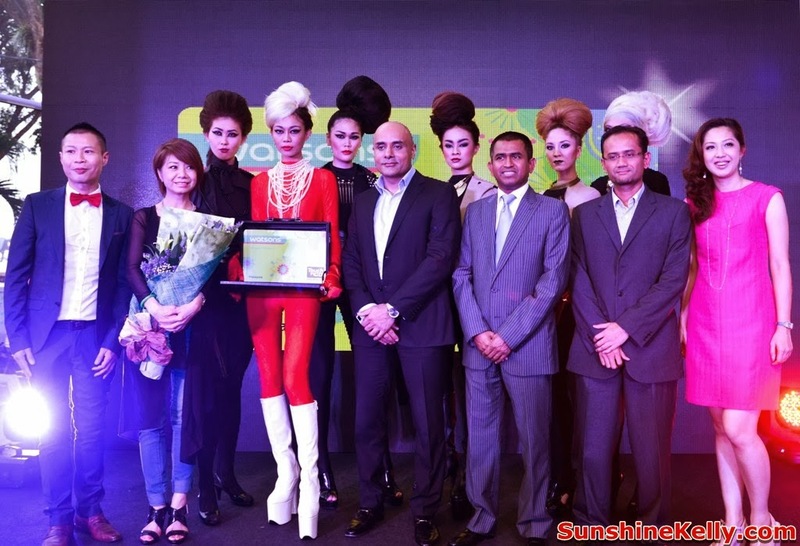 More than 23 renowned brands have joined Watsons Malaysia to offer exclusive discounts under exciting four categories for example Shop, Indulge, Pamper and Explore. Some of the brands such as SenQ, Jelly Bunny, MPH Bookstores, OSIM, MUSE by Watsons, Zalora, Bizzy Body, Celebrity Fitness, Facial First, Restyle, Masculine, The Chicken Rice Shop, Sweet Chat, Pizza Hut, Pancake House, KFC, Dunkin Donuts, Dubu Dubu, Petrosains, Sunway Lagoon, Kidzania, Hello Kitty Town, Lost World of Tambun, Holiday Villa and many more. In Malaysia, Watsons VIP card was first launched in September 2010, within 3 months from its inception, Asia’s largest health and beauty retail chain – Watsons Malaysia achieved 250,000 sign-ups for its membership programme. Currently, there are more than 2.6 million Watsons VIP card members in Malaysia.